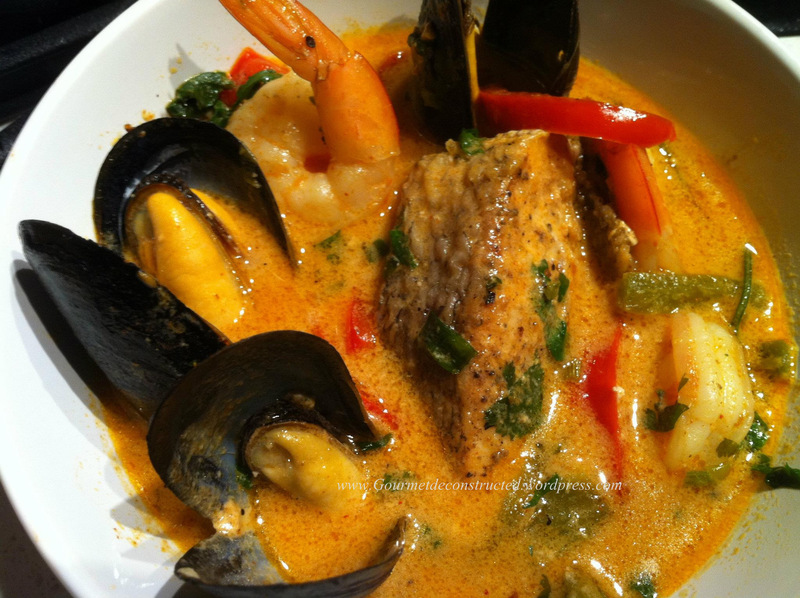 Posted on December 4, 2011, in Seafood and tagged currry, fish, mussels, seabass, seafood, thai cuisine. Bookmark the permalink. 8 Comments. I don’t have an Restaurant yet but who knows…. Beautiful Pictures and looks like an incredible recipe. Why does it say to steam mussels separately ? The mussels can be added at the same time as the fish, But I find that when the mussels open they release a bit of grit into the broth so I steam them separately.